New papers on microbiology of the built environment, February 14, 2016 – microBEnet: the microbiology of the Built Environment network. Happy Valentine’s Day! Here is a new post expressing my love for everything microbial and built. Based on real science and yes, there is chocolate. We sought to examine associations between exposures to household microbes and childhood asthma severity stratified by atopic status. Participants (n = 196) were selected from a cohort of asthmatic children in Connecticut and Massachusetts. (…) Microbial community structure and concentrations in house dust were determined by using next-generation DNA sequencing and quantitative PCR. 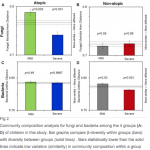 Logistic regression was used to explore associations between asthma severity and exposure metrics, including richness, taxa identification and quantification, community composition, and concentration of total fungi and bacteria. 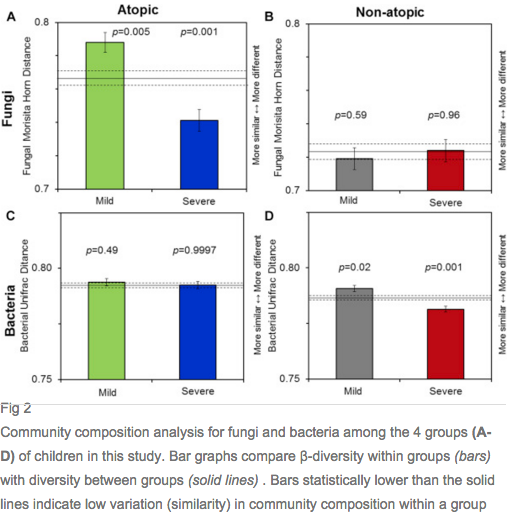 (…) Asthma severity among this cohort of children was associated with microbial exposure, and associations differed based on atopic status. We sought to define the microbial constituents of the home environment of individuals with CF and determine if it may serve as a latent reservoir for infection. 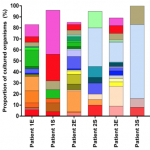 Six patients with newly identified CF pathogens were included. An investigator collected repeat sputum and multiple environmental samples from their homes. 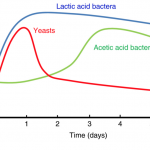 Bacteria were cultured under both aerobic and anaerobic conditions. Morphologically distinct colonies were selected, purified and identified to the genus and species level through 16S rRNA gene sequencing. 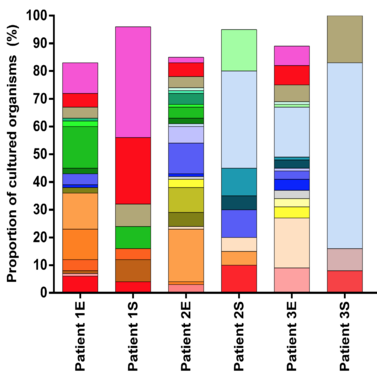 (…) While the majority of isolates from the home environment were not genetically related to those isolated from the lower airways of individuals with CF suggesting alternate sources of infection were more common, a few genetically related isolates were indeed identified. 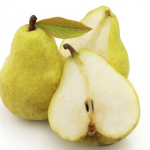 Postharvest fruit decay caused by Penicillium pathogens is considered to be one of the most important challenges in the pear industry resulting in market-end losses. (…) Therefore, the profile of Penicillium spp. present in the pear export chain from South Africa (SA) to the UK was studied over a four-year period. Sampling was done at two packhouse facilities, controlled atmosphere and cold storage areas in SA and at two repack facilities and cold storages as well as a distribution centre and a retailer in the UK. Sampling consisted of swabbing walls and floors and using active and passive air sampling. (…) This study provides a framework to monitor the inoculum potential in environments that fruit move through while being exported. (…) As it is carried out on farm, cocoa bean fermentation is subjected to various agricultural and operational practices and hence fermented dry cocoa beans of variable quality are obtained. Spontaneous cocoa bean fermentations carried out with care for approximate four days are characterized by a succession of particular microbial activities of three groups of micro-organisms, namely yeasts, lactic acid bacteria (LAB) and acetic acid bacteria (AAB), which results in well-fermented fully brown cocoa beans. This has been shown through a plethora of studies, often using a multiphasic experimental approach. 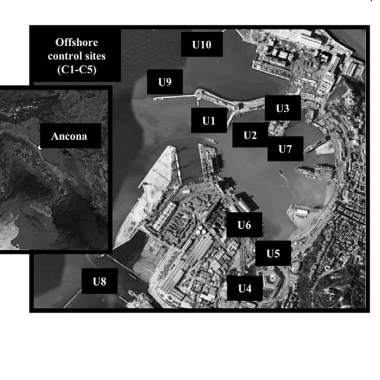 Petroleum pollution results in co-contamination by different classes of molecules, entailing the occurrence of marine sediments difficult to remediate, as in the case of the Ancona harbor (Mediterranean Sea, Italy). Autochthonous bioaugmentation (ABA), by exploiting the indigenous microbes of the environment to be treated, could represent a successful bioremediation strategy. 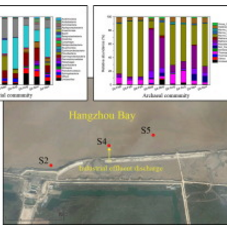 In this perspective we aimed to i) identify the main drivers of the bacterial communities’ richness in the sediments, ii) establish enrichment cultures with different hydrocarbon pollutants evaluating their effects on the bacterial communities’ composition, and iii) obtain a collection of hydrocarbon degrading bacteria potentially exploitable in ABA. (…) Our observations indicate that pollution dictates the diversity of sediment bacterial communities and shapes the ABA potential in harbor sediments. 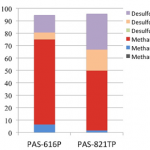 Sodium bisulfite (SBS) is used as an oxygen scavenger to decrease corrosion in pipelines transporting brackish subsurface water used in the production of bitumen by steam-assisted gravity drainage. (…) In order to reveal the effects of SBS treatment in more detail, metagenomic analysis was performed with pipe-associated solids (PAS) scraped from a pipe section upstream (PAS-616P) and downstream (PAS-821TP) of the SBS injection point. 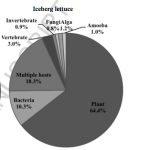 A major SBS-induced change in microbial community composition and in affiliated hynL genes for the large subunit of [NiFe] hydrogenase was the appearance of sulfur-metabolizing Epsilonproteobacteria of the genera Sulfuricurvum and Sulfurovum. (…) Altogether, SBS increased the fraction of hydrogen-utilizing Delta- and Epsilonproteobacteria in brackish-water-transporting pipelines, potentially stimulating anaerobic pipeline corrosion if dosed in excess of the intended oxygen scavenger function. Anthropogenic activities usually contaminate water environments, and have led to the eutrophication of many estuaries and shifts in microbial communities. In this study, the temporal and spatial changes of the microbial community in an industrial effluent receiving area in Hangzhou Bay were investigated by 454 pyrosequencing. (…) PCoA and AMOVA revealed strong seasonal but minor spatial changes in both bacterial and archaeal communities in the sediments. 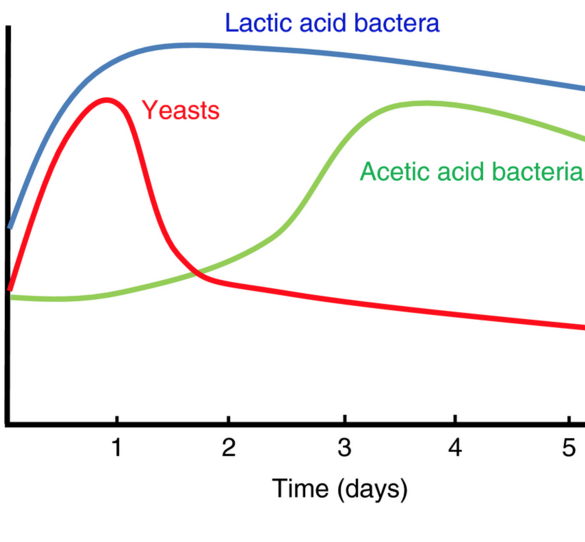 The seasonal changes of the bacterial community were less significant than those of the archaeal community, which mainly consisted of fluctuations in abundance of a large proportion of longstanding species rather than the appearance and disappearance of major archaeal species. Temperature was found to positively correlate with the dominant bacteria, Betaproteobacteria, and negatively correlate with the dominant archaea, Marine_Group_I; and might be the primary driving force for the seasonal variation of the microbial community.